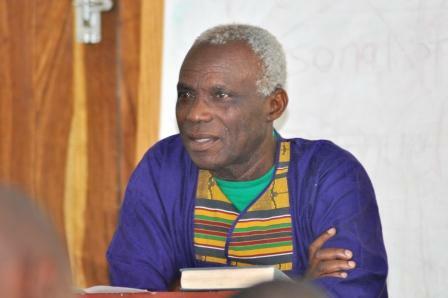 In March Conrad welcomed Emmanuel Oladipo (Langham Preaching Coordinator for English-speaking Africa; pictured) to Lusaka. Twenty-five experienced preachers gathered to wrestle with the meat, the skeleton and the heartbeat of both the text and the sermon (using a model developed by Ramesh Richard). Day One was devoted to prayer and the skills of studying a passage of Scripture. For Conrad, “the discipline is to avoid thinking about the sermon at this stage – as it is all about understanding the Word as it came to those first hearers.” Day Two was all about shaping a sermon from the text. Each evening Emmanuel preached and humbly submitted his sermon to the evaluation of the participants. Conrad holds a monthly preachers’ fellowship for local pastors where sermons are preached – with ears trained to listen for a faithfulness to the Bible passage.